I've swapped the order of posts a bit, as I think it would be better to explain some steps first and refer to them later when explaining the alternative techniques for closing the skirt. 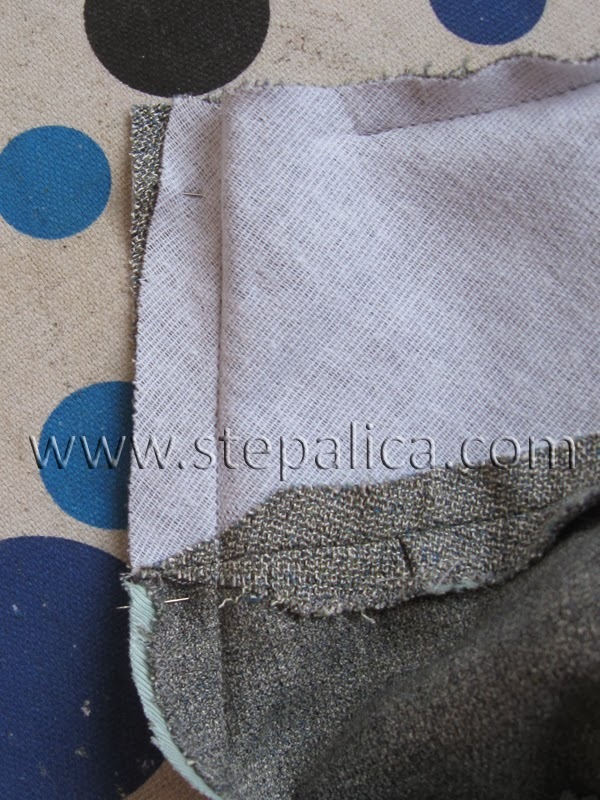 So, today I'm going to talk about the lining and tomorrow I'll show you the technique for sewing a lapped zipper. 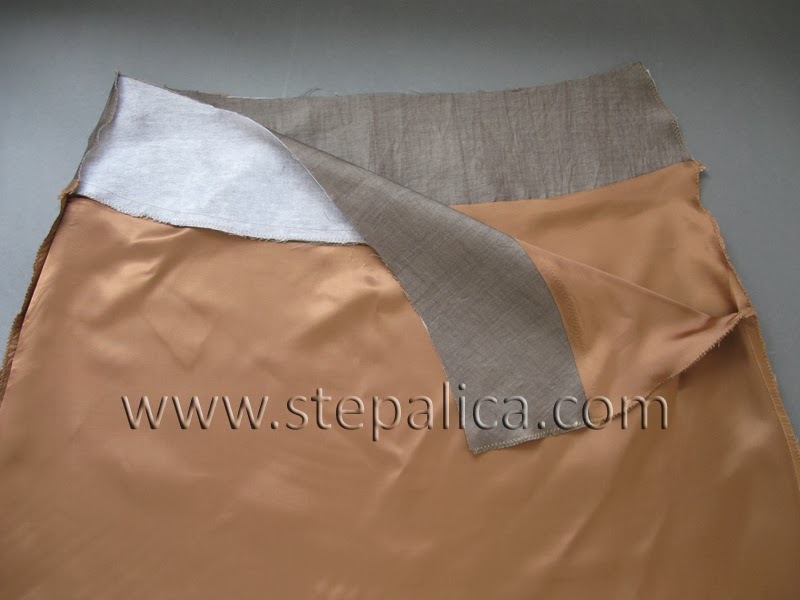 Today we'll assemble the lining and attach it to the skirt. I have to warn you I don't sew this part by the book, instead I'm using a technique I've adopted over the time and that provides the best results to me. 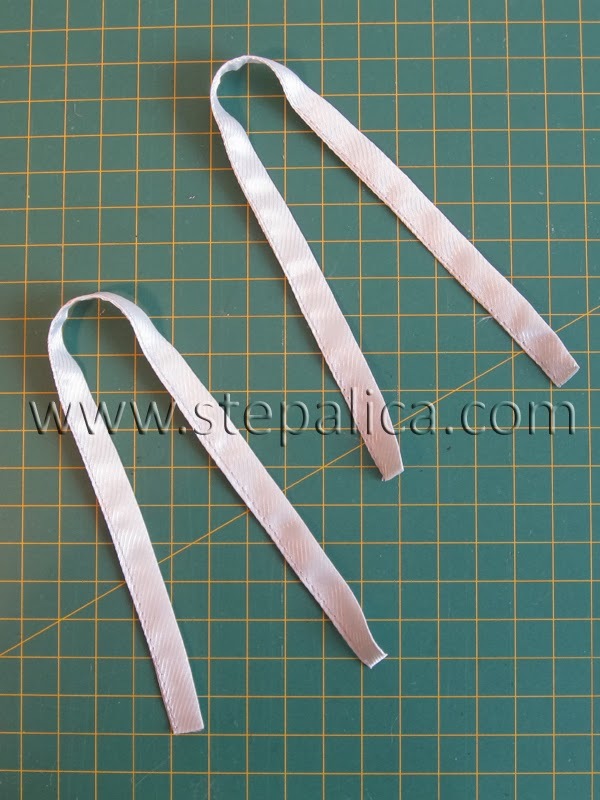 If you like to have hanger loops on a skirt, now is the time to sew them on, You can use satin band for these, or you can make them from lining remnants. 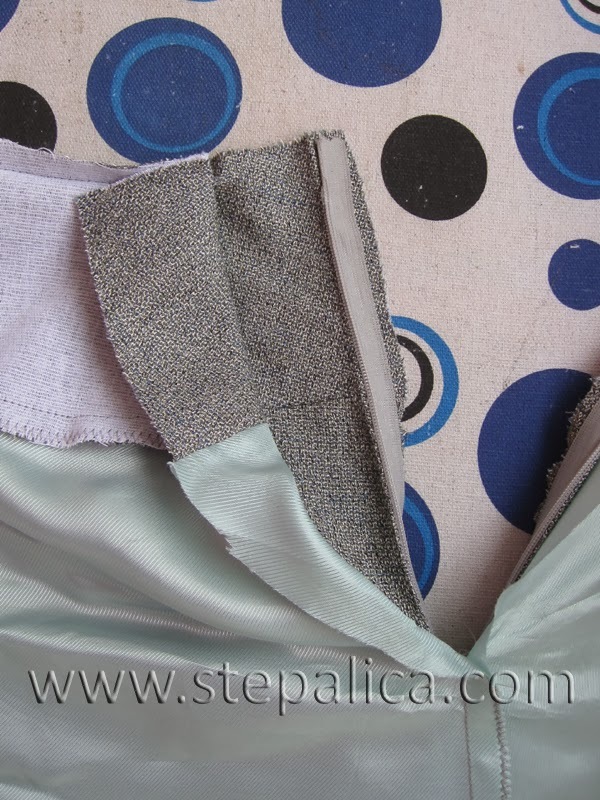 Sew the belt loops to the skirt by placing them to the right side of it, and matching them with the side seams. Back to the lining. With right sides together, attach the waist yoke to the lining panel. Sew the seams and press them. Repeat the process on both front and back panels. 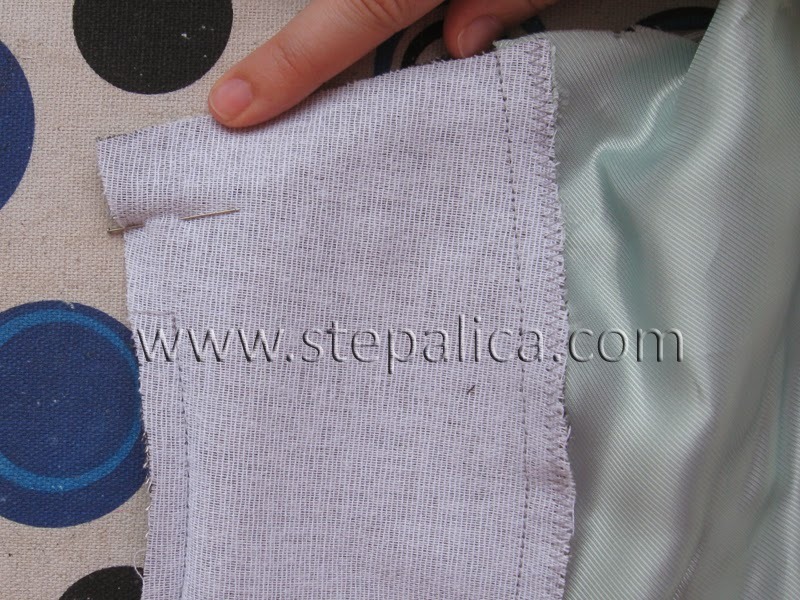 Sew the lining along the side seams, with right sides together. 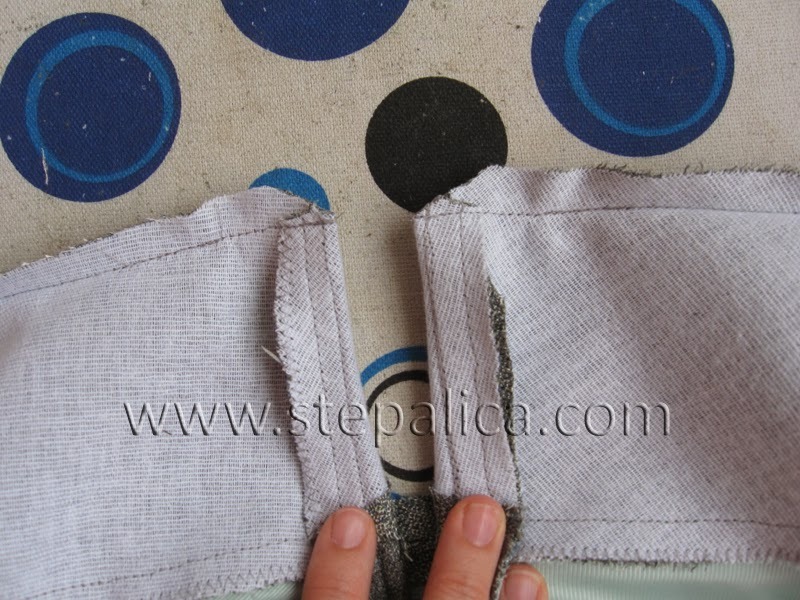 Leave the top of the left side seam open for inserting a zipper. 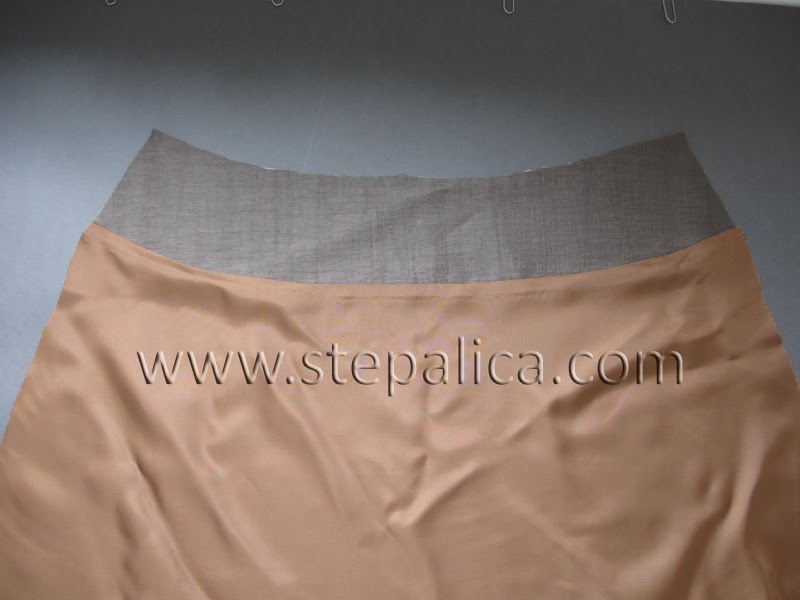 Note that the left and right sides on the lining are reversed compared to the skirt, so that when looked from the right side of the fabric and front of the lining, the left hip matches with the right side seam, and vice versa. 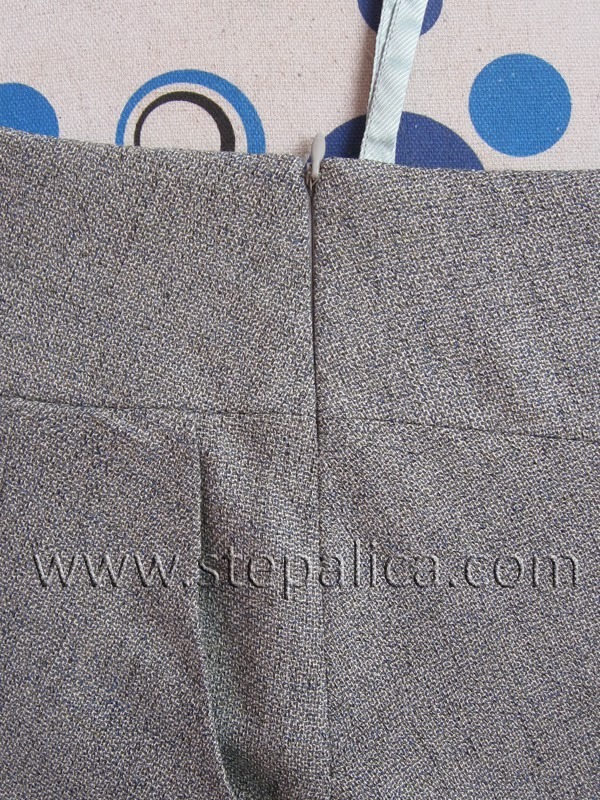 Slip the skirt into the lining with right sides together and align them along the waistline and side seams. Sew the layers together, but end the stitches where the pinning ends. Press the seams along the waistline. 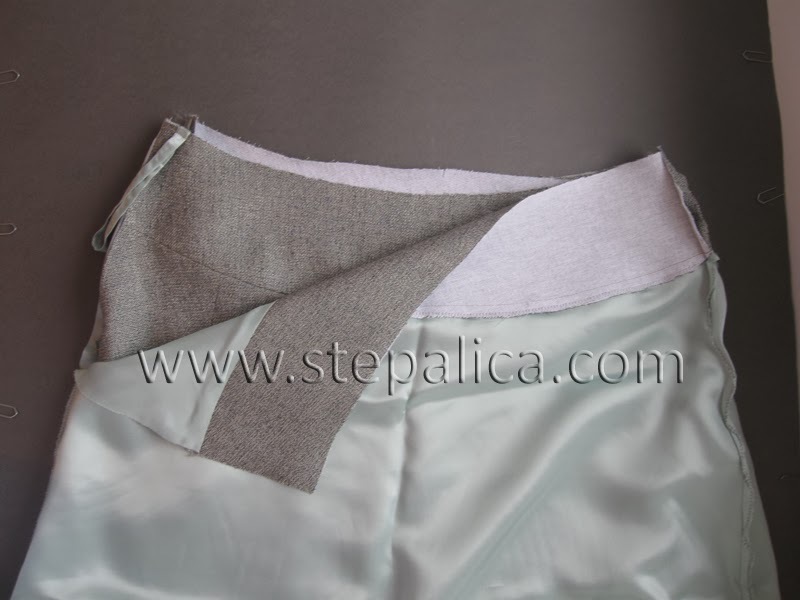 Open the zipper, and fold the seam allowances of the slit of the skirt with right sides together. Mark a spot on the slit SA where the future seam connecting the skirt to the lining will run. The seam should be placed approximately 0.5 cm from the zipper teeth. Mark the same seam line on the lining / facing. 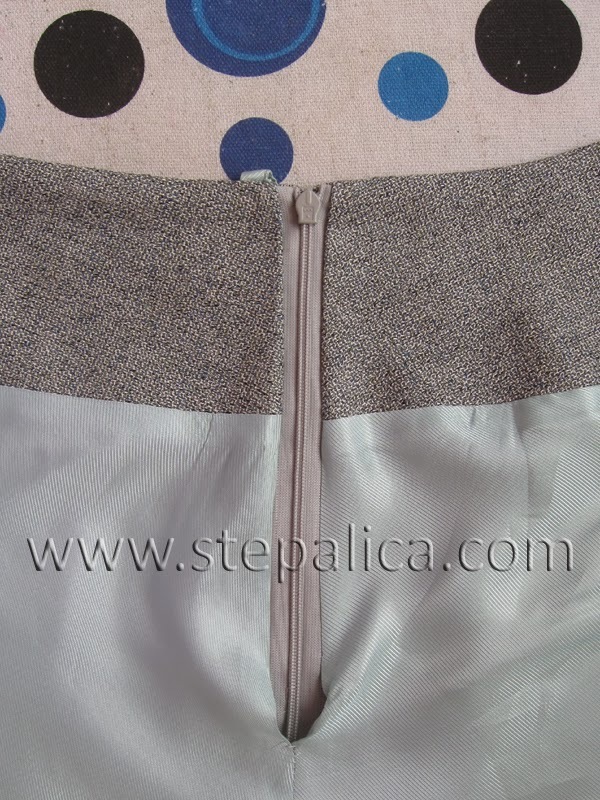 Pin the skirt to the lining along the zipper slit, pinning in direction from the top towards the bottom of the zipper. You will notice the skirt's layer is longer than the facing. 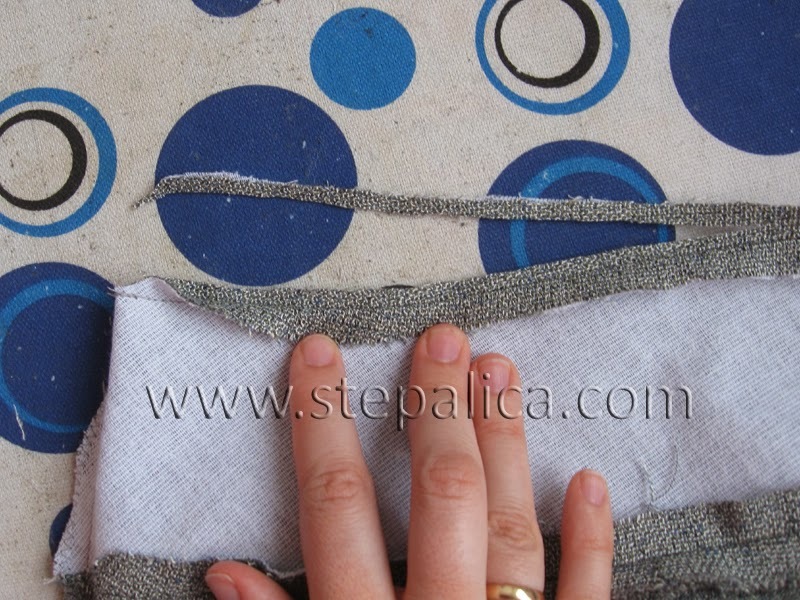 Sew the layers together, and fold the edge along the zipper band, folding towards the facing layer. Stitch the layers together along the waist line, thus connecting the seam with the previously made one. Cut the corners of the SAs in order to reduce the bulk when turning the skirt inside out. 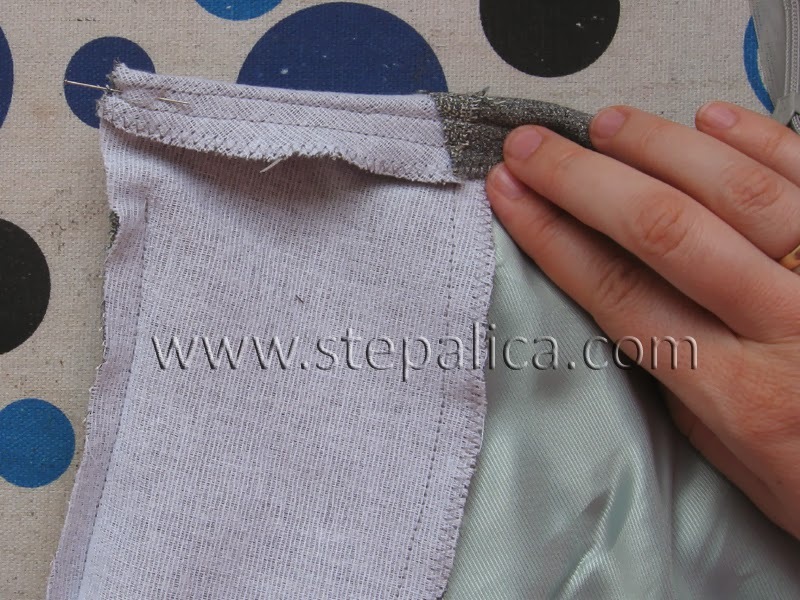 If you're using a thicker fabric, trim off the SA of the facing layer along the waistline. This way you will reduce the bulk. 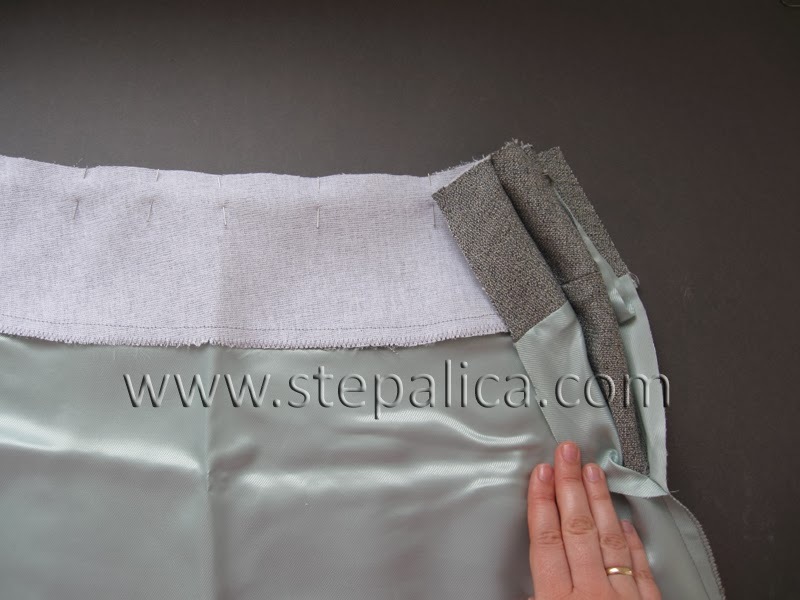 Flip the skirt inside out and press the facing along the zipper slit. 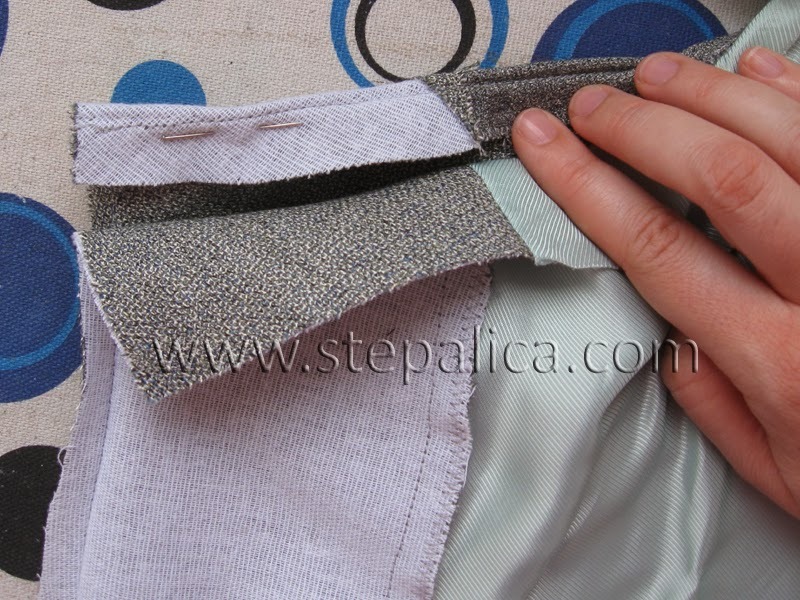 Tomorrow I'll show you how to sew a lapped zipper. 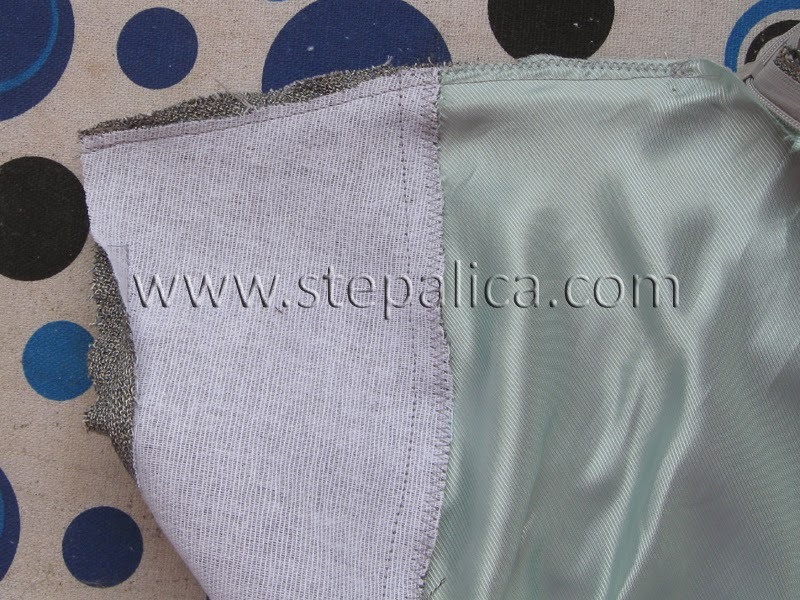 I was wondering if you could do a video tutorial of how to sew the zipper to the lining. I really like the way you do it but it's kind of hard for me to understand.